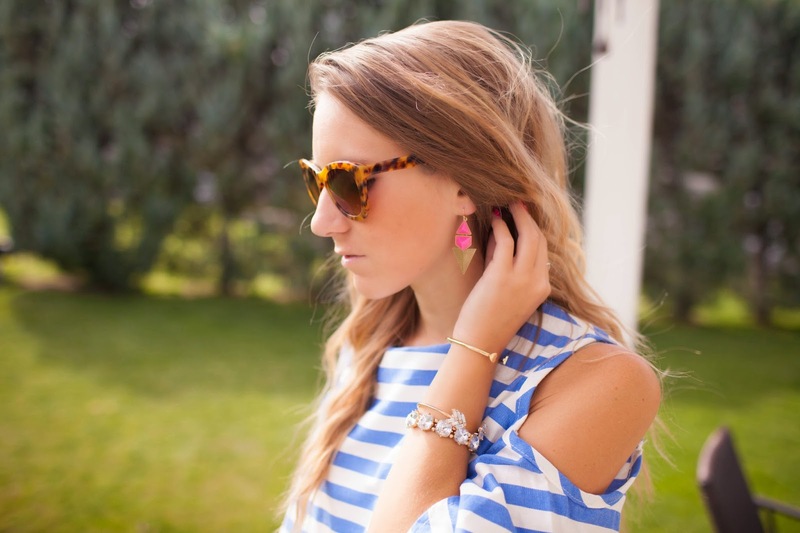 Today I am collaborating with my all time FAVORITE, Lauren of The Fashionista’s Diary! Lauren inspires me on a daily basis, whether it’s through her style or through her amazing #girlboss ways! Lauren and I have very similar styles, but where I typically go for a boho twist, she is definitely more girly! We both fell in love with this dress and knew we needed to own it! While I styled mine with gladiator sandals and minimal jewelry, including these AMAZING Eula Fern’s earrings (they carry the cutest jewelry! ), Lauren paired heres with a BEAUTIFUL Accessory Jane bib necklace, a sweet wrist stack and the adorable hot pink bow shoes! If you don’t follow this sweet girl, you definitely should now! 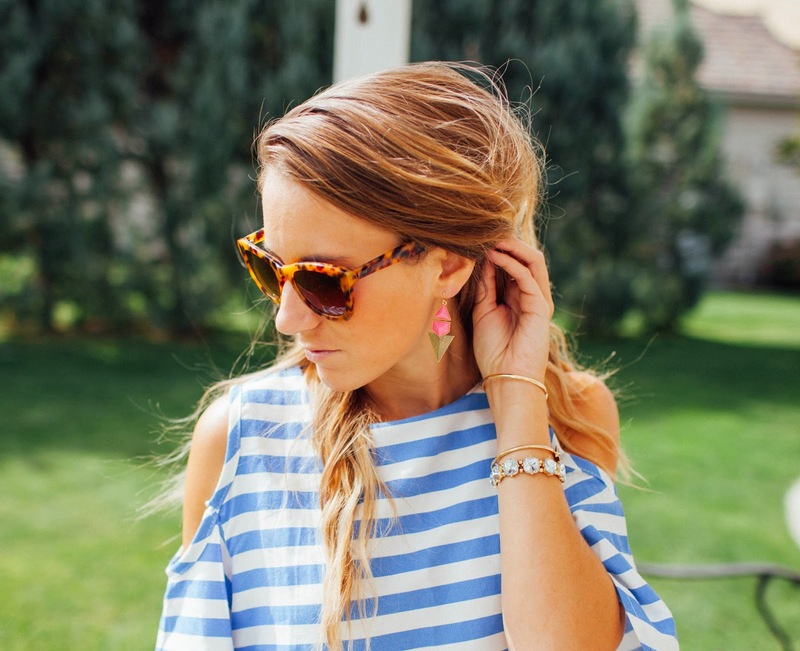 this dress is perfectly summery! love how loose it is! I love this dress! & your hair looks gorgeous! 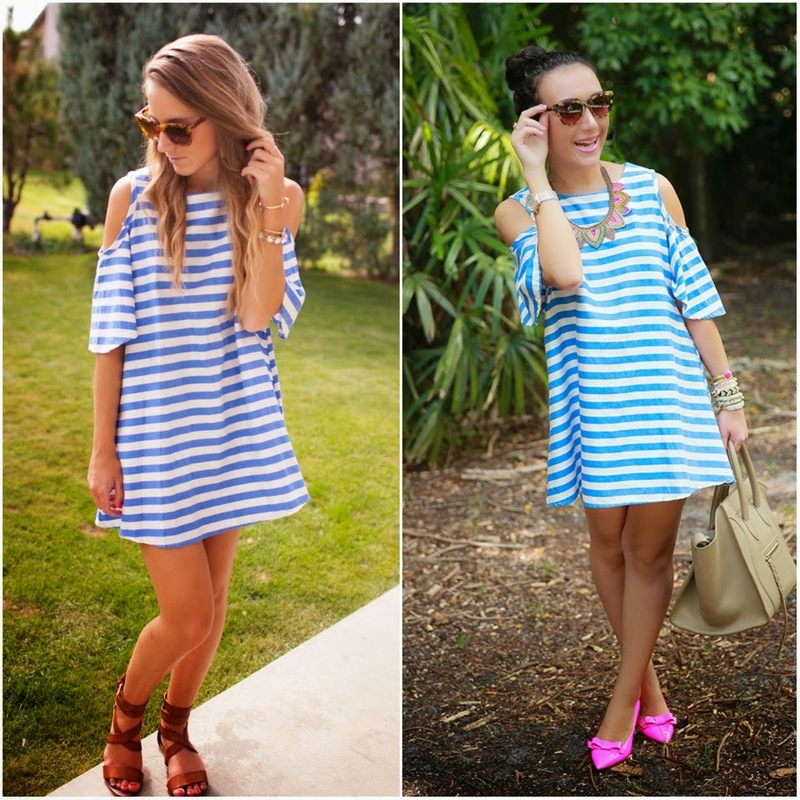 that dress is so sweet, i love the spin on a classic striped dress! i love stripes, and definitely this dress is a winner! Love the stripes, such a pretty dress! stripes are so in now! they always have, but especially now it seems. I see them everywhere now! very pretty look!